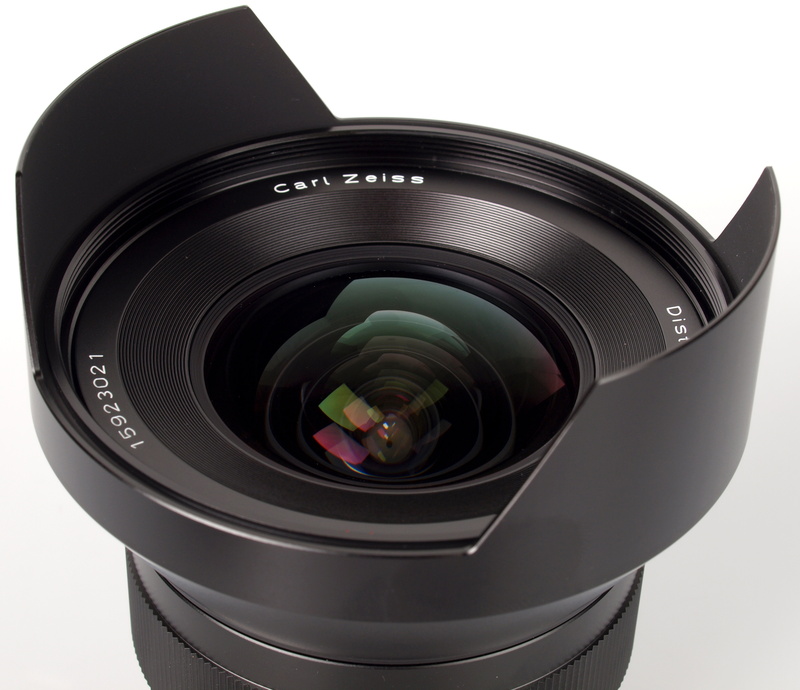 Gary Wolstenholme reviews the new ultra wide-angle Carl Zeiss ZF Distagon T* 15mm f/2.8 lens. Carl Zeiss lenses for SLR cameras have always been synonymous with excellent optical quality, and although this new 15mm lens may be a relatively basic manual focus lens, the promise of superior optical quality should be enough to pique the interest of many photographers. The design and build of this lens harks back to a time when you could judge the quality of something by how much metal had been used in its construction. Zeiss have used a lot of metal, and the lens feels suitably sturdy as a result. Despite weighing around 800g and having quite a bit of heft to it, it balances perfectly on the Nikon D700 used for testing. Manual focusing is silky smooth and precise. Focusing the lens is such a pleasure, that the lack of auto-focus becomes a non-issue once time has been taken to get used to using the lens. A metering chip with electronic contacts is included so matrix metering is supported on all Nikon cameras. 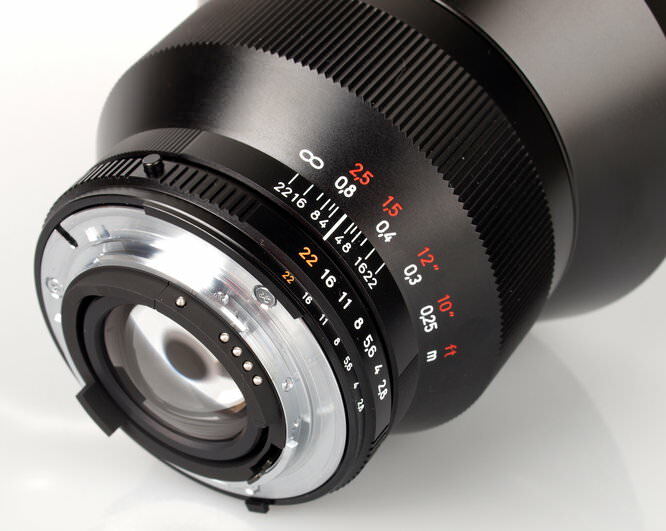 Useful hyperfocal focusing markings are provided on the lens barrel. 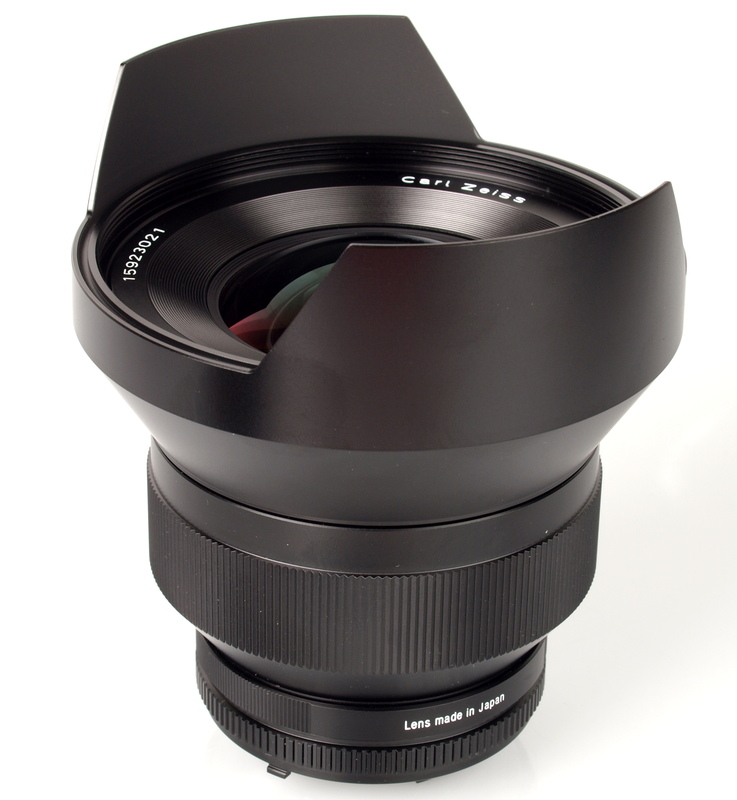 Although the lens has a huge 95mm filer thread, it will not be easy to mount square graduated filters on the lens, as the deep scalloped hood is not removable. As far as sharpness is concerned, this lens lives up to the reputation Carl Zeiss optics have deservedly earned. At maximum aperture, the clarity in the centre of the image is already outstanding, and the sharpness towards the edges of the frame approaches excellent levels. Stopping the lens down further improves sharpness across the frame, with outstanding clarity being achieved across the frame between f/5.6 and f/11. For this review, the lens was tested on a Nikon D700 using Imatest. Chromatic aberrations towards the edges of the frame are reasonably well controlled and shouldn't pose issues for most images, even with high contrast areas towards the edges of the frame. 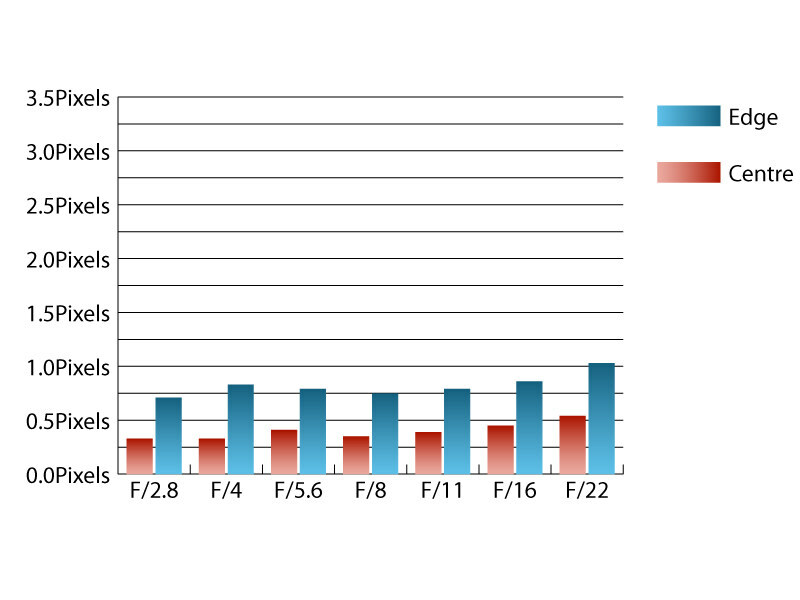 Only at f/22 does fringing exceed one pixel width towards the edges of the frame. Falloff of illumination towards the corners of the frame is quite severe at maximum aperture as the corners of the frame are 3.05 stops darker than the image centre. This level of falloff is so severe, that it can lead to issues with metering as the lens is stopped down, and the corners brighten up relative to the centre of the image. This happen as the camera meters from the light it reads at maximum aperture and more compensation may need to be applied to exposures the more the lens is stopped down. 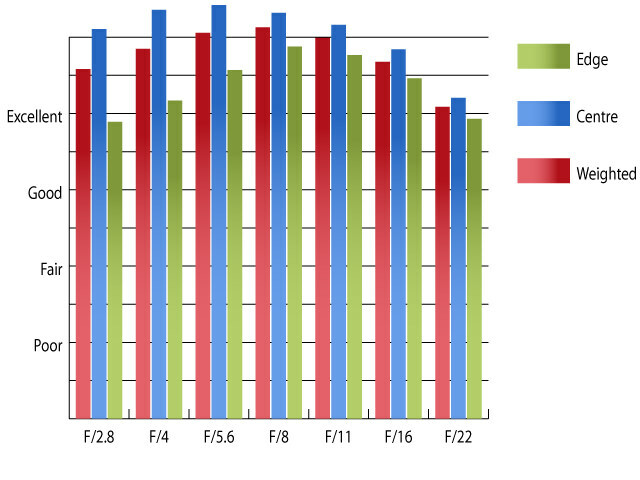 Visually uniform illumination isn't achieved until f/11. Distortion is relatively mild for a lens with such a wide field of view. Imatest detected 3.04% barrel distortion, which may occasionally pose issues. A slight wave is present in the distortion pattern, which may make critical corrections in image editing software afterwards a little tricky. The wave is only very mild, and is only noticeable if you really go hunting for it. Shooting into the light is not an issue with this lens. Contrast remains high and flare is rarely an issue. The built in hood does an excellent job of shading the top and bottom of the lens' field of view from extraneous light that may cause issues. High quality optics don't usually come cheap, and this 15mm Zeiss lens is certainly no exception. Available for around £2350, it may be difficult for many photographers to justify such an outlay, even considering the excellent optical performance. Nikon users also have the AF-S 14-24mm f/2.8, which costs around £1300, as an option. This lens offers the flexibility of a zoom along with fast silent autofocus and an enviable reputation for optical quality. The older Nikon 14mm f/2.8 AF-D is also still available for a shade over £1200. The Tokina 16-28mm f/2.8 AT-X is the closest offering from a third party lens manufacturer. Although this lens isn't quite as wide as either the Zeiss or Nikon optics, it does cost considerably less at around £740. The price alone makes this lens a specialist item that only a few may be able to justify purchasing. The issue with falloff mentioned earlier in the review is a quirk I'm sure many will be able to live with, even if care does need to be taken to compensate for the exposure changing as the lens is stopped down. However, if your numbers have just come up on the Euromillions Lottery, then this lens will reward you with outstanding sharpness at every aperture, low CA, distortion and build quality that is a class above other lenses currently available. It may just be the lens to get for taking pictures of the view from your new yacht. Carl Zeiss lenses are available from Carl Zeiss dealers listed here.